Have you ever wanted to write blog posts that make your readers hungry for more? What about posts that get more shares, links, engagement and traffic? The truth is that a lot of it comes down to not just what you write but how you write it. For example, Neil Patel recently found that by writing content in a more conversational manor, he was able to get 247% more people reading his content. 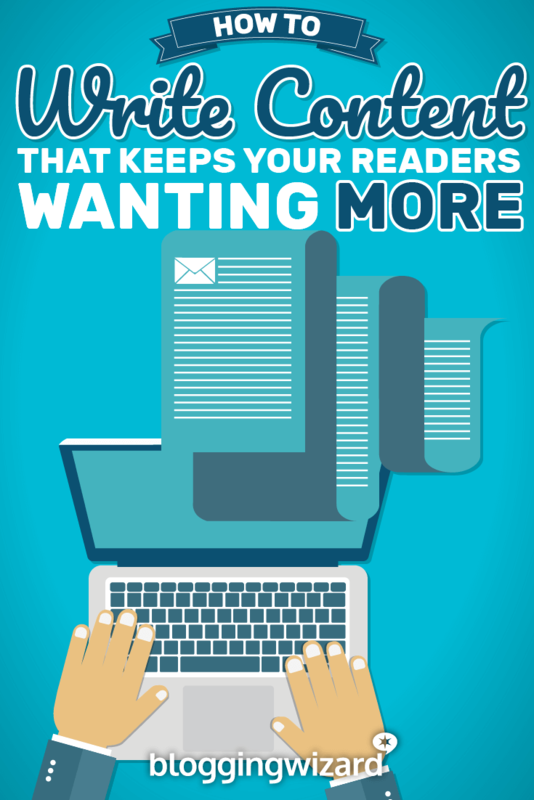 In this post I’ll share some super helpful tips that will keep your readers wanting more. They’ll also help get your creative juices flowing! So are you ready to step up your game? One thing I’ve always found when crafting a blog post, is that having a great headline makes the whole process much smoother. With a headline that’s bold, attention grabbing and descriptive all at once, you’ll find that your blog post will write itself. Coming up with a title that really sells your content though, isn’t always as easy as it sounds. Sometimes your mind will simply shut down at the mere thought of it, which isn’t great when you’ve got something important to say. Try adding your main post topic into a headline generator like this one from portent, and mix it up with your own ideas for something more unique. This should give you the perfect base to start from and allow you to get a better idea of what you’re writing about. 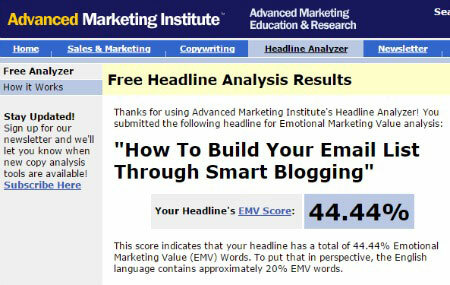 Note: you can find more tools to help you come up with headlines and improve them in this post. Before you dive in and start getting the words on your page, take a few minutes to plan out how your blog post is going to look. Consider which sub-headings you’re going to include, what images you want to add and the sources you might wish to include. Again, planning your content will make the process of writing easier and much quicker. This will save you lots of time in the long run and make you a more efficient writer. It will also ensure that your post has a clear structure, preventing you from your writing going off onto a tangent. This is a tip I picked up back in my college days and I still use it now. In your blog post plan you’ll no doubt have a section introducing your post and then one at the end summarizing it. The best advice I can give you is to leave these sections, until you finished writing the body of your post. The reasoning behind this is that your introduction will summarize what you’re going to write about. While your conclusion will summarize what you have talked about. How will you know what you’re going to or have written about, if it’s not on the page yet? Leaving the introduction and conclusion until the end is the best way to make sure they make complete sense. Because let’s face it, nothing’s set in stone and you may just come up with a great brainwave during the writing process! When I say speak directly to the individual, I mean use words like “you” and “your” instead of writing in the generic “everyone” term. Reading through this post you’ll see that this is how I write. I talk to you and confide my tips to you directly as if I’m sat right in front of you. This type of language creates a level of trust and intimacy with you and the person reading your content. You’re making them feel important, at home on your blog and most importantly valued, which is what they are! The chances are if just one single individual leaves your blog feeling like they’ve been taken care of, nurtured in their learning and has generally had a good experience, they’ll most likely be back the next time round. Staying on the topic of connecting with your readers, there’s no greater way to earn that much needed trust, than opening up and sharing your own, personal experiences. You could do this by including real life examples, a memory or a general everyday experience. The point is, you’re showing your vulnerability not just as a writer but as a real human being. This is something your readers will come to respect, plus a personal story always makes for a much more interesting one. Whatever you do when crafting your blog posts, don’t make the mistake of presuming people have long attention spans. The truth is in the online world we’re constantly being distracted and tempted by other links, shorter posts and more consumable content. This will help people to easily pick out the main points from your post. It’s also highly likely that if your post comes across as interesting, they’ll save it to read when they have more time to a tool such as Pocket or Instapaper. There are many benefits to having a large featured image at the top of your blog post. There are plenty of free resources that will help you create an image from scratch, leaving you no reason to opt-out. Canva is perfect for its pre-built templates and layouts, while my personal favorite; Picmonkey is also a brilliant tool for image editing. One thing that may very well happen when you have a particularly long post, is that your reader may forget some of the details and examples you’ve outlined in your text. A great way to combat this problem, is to summarize in your conclusion with the main key points from your post. You might like to call these your “key takeaways” or something equally as fitting. The point is, it provides your reader with some short, snappy reminders of what they’ve read. This helps the information to be absorbed easier and remembered in the long-term. If you haven’t heard of content upgrades before, here’s a brief summary. Essentially they’re like small freebies you give away to your readers at the end of a post. They provide extra information they won’t receive in the average blog post and in return, they give you their email address. This is a great way to grow your email list, while at the same time providing your readers with something valuable, for free. Your content upgrades don’t have to be anything epic – they could be checklists, a PDF of your post they can print or save, or even instructions for creating something. 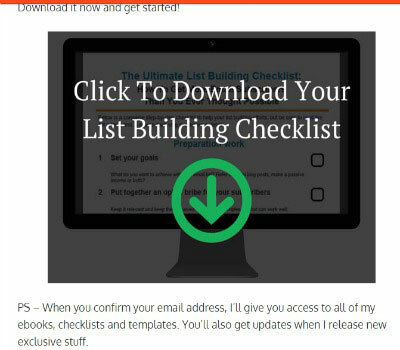 Here is a content upgrade that Adam offers on his post, “37 Amazingly Effective List Building Tips You Can Use Today”. He starts by displaying a notification box near the top of the post. 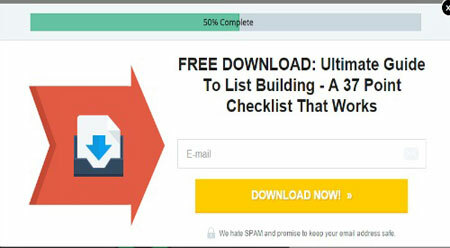 Then, at the bottom of the post, he tells his readers how they can download the free checklist. Everyone loves a freebie – more so if it’s highly targeted and provides great value for their time. Therefore utilizing this through software like LeadPages, you nurture your audience. Note: click here to check out our Leadpages review. The final piece of advice I can give you is probably the most valuable. It may be tempting once you’ve finished a blog post and hit publish, to leave it at that. It’s a job done, you spent a long time creating it and now you want to move on to something different. Sure, I get that. However you’d be missing out on something crucial if you did. You’d be forgetting the one thing that makes the success of your blog possible – your audience. Once you’ve written your post, sign off with a question directed to your readers. Ask them what they think – did they like it, have they got anything they may want to add? What tips could they provide that you may have forgotten? Invite conversation into your comments section, reply to new comments and show your readers that you have time for them. This will keep them coming back for more. These are the people who will end up being your most loyal community. Although creating a blog post that inspires and delights your audience, isn’t always as easy as people make it out to be, there are ways you can ensure you put your best foot forward.